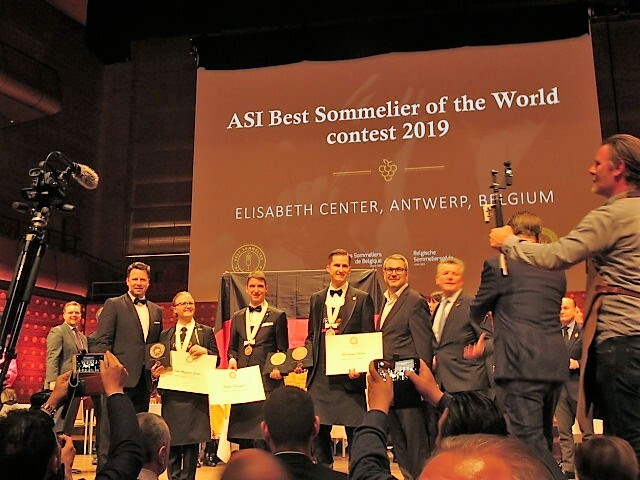 I spent last week in Antwerp at the ASI Best Sommelier of the World 2019, (the 16th edition). Let me tell you, I have never been so relieved to be on my side of the table. 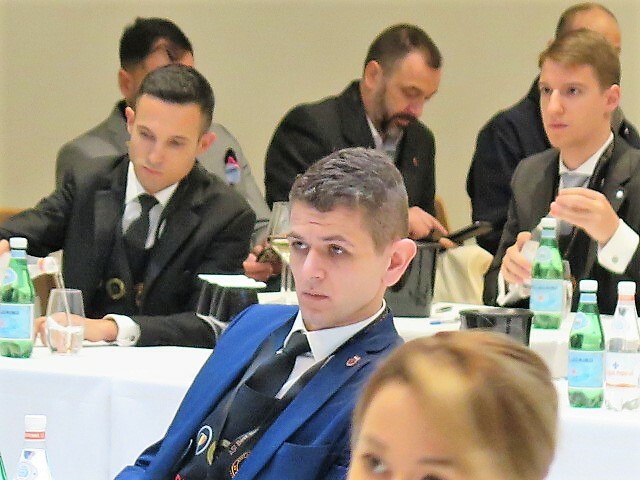 The Association de la Sommellerie Internationale’s competition for elite sommeliers (national or intracontinental competition winners) involves three gruelling rounds of technical, theoretical and practical tests. 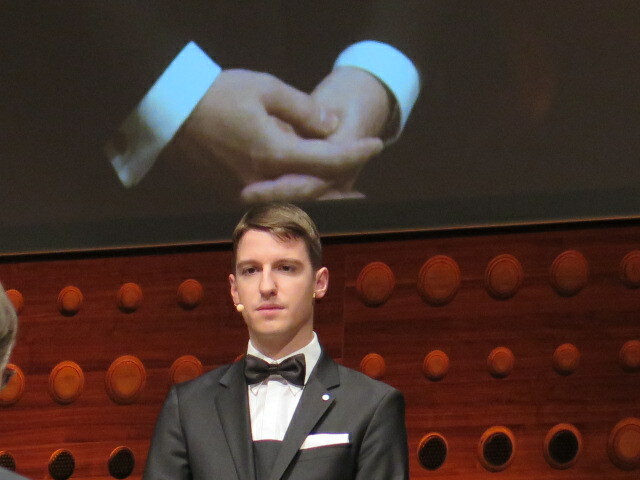 In a nail-biting final, ‘performed’ in a mocked up restaurant in front of over 1,000 onlookers, Germany’s Marc Almert (aged 27) triumphed over Nina Højgaard Jensen from Denmark (the 26 year old runner up) and 38 year old Raimonds Tomsons from Latvia (and 63 other candidates). Comporting themselves with considerable elegance and charm, the finalists exemplified the young and demographically diverse line up for the competition as a whole – just check out the 19 semi-finalists, pictured below. 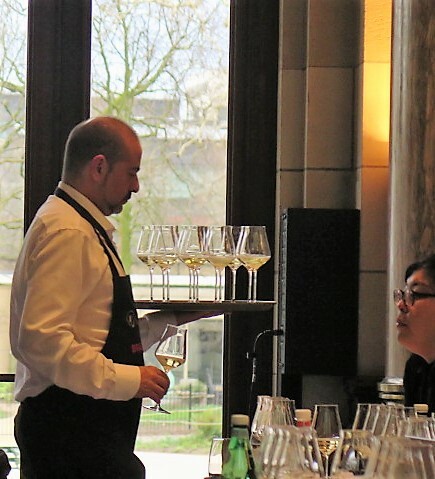 And the rise of female sommeliers (though a woman has yet to win it). 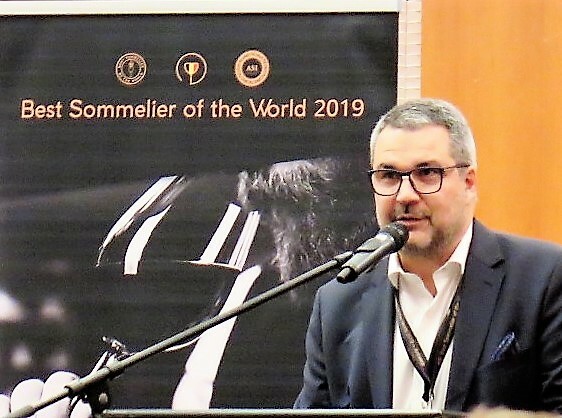 In years past (the competition started in 1969), French and Italian sommeliers dominated, taking the top spot until Shinya Tasaki made waves, bagging the title for Japan in 1995. Germany, France, then Italy won the next three titles before Sweden, the UK, Switzerland and Sweden again fielded the winner. 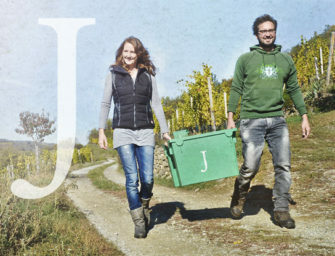 Runner up Højgaard Jensen told me “it’s so positive – all manner of people are starting in a serious way and achieving; and people are starting younger.” The precocious sommelier started out in hospitality in 2012 and only began to focus on wine in 2015! Going first, Højgaard Jensen maintained her warm, convivial style despite an atmosphere you could cut with a knife, such was the tension. 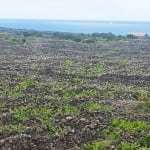 Not least during an extremely unfortunate accident which would have undone many. In a subsequent exercise, the cool but endearing Dane even went on to joke, “this is fun.” It had the audience rooting for her. My first indirect encounter with this competition came about in 2007, at the Women of Wine Awards in Paris (I was a finalist). Fresh from competing at the 2007 ASI Best Sommelier of the World in Greece, Véronique Rivest’s blistering performance bagged her the title. My nemesis went on to win second place in Tokoyo in 2013, becoming the first female finalist – now one of three! Though the owner of Quebec’s Soif Wine Bar is currently (never say never again) retired from competitions, she is now heavily involved as mentor and judge at ASI events. 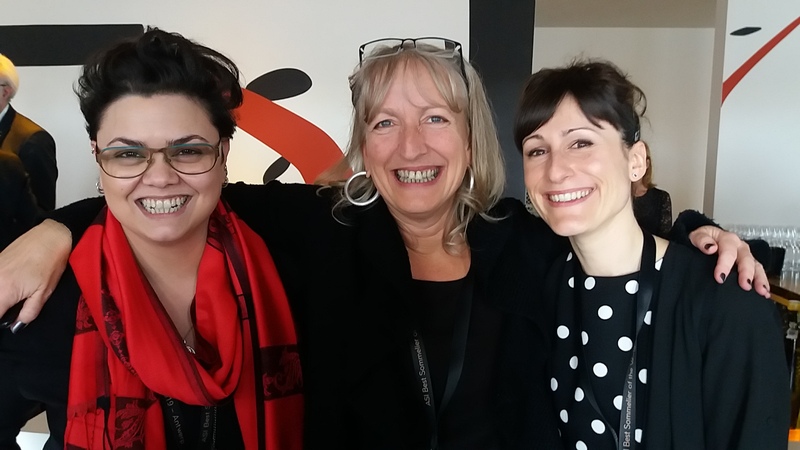 It was fun to run into the charismatic Canadian again in Antwerp, pictured here with former competitors – fellow high fliers – Iceland’s Alba Hough and Ireland’s Julie Dupouy (who came third in Argentina and 8th this year). Taking place every three years, the ASI Best Sommelier of the World competition is a grand reunion for competitors past and present, not to mention their retinue. 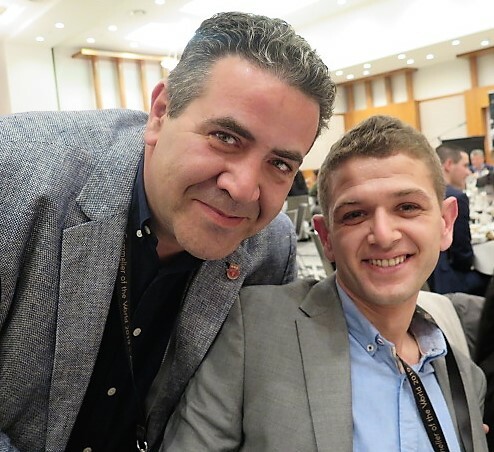 This is the Olympics of sommellerie, with candidates supported by a coterie of national ASI presidents, ASI committee and board members and sommelier associations. Lest there be any doubt about the seriousness of the endeavour, as reported in The Drinks Business, The Union of French Sommeliers hired a team of psychologists, drama teachers and sports coaches, whilst its Japanese equivalent sponsored a year of study leave. I could well understand why Rosberg greeted “the family” at the welcome dinner. 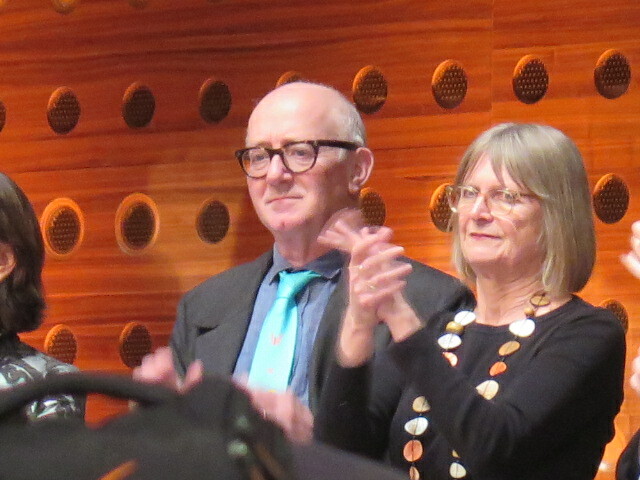 And I was thrilled that this inclusive family extended an invitation to me to participate in an exceptional programme of masterclasses and events, itself a drawcard. Peak concentration – Portugal’s candidate Ivo Perlata. With good reason – look who is behind him…. 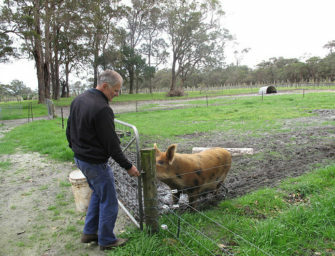 Australia’s candidate, semi-finalist Loic Avril – Wine Director at Dinner by Heston Blumental, Melborne, is on the left. Volunteer, Portugal’s Nelson Guerreiro (Head Sommelier at Lisbon’s two-Michelin-starred Alma) happily took a week’s holiday in exchange for “a lifetime opportunity” to support the tastings (and appraise Belgian Hospitality School students of the joys of Bairrada in a masterclass). 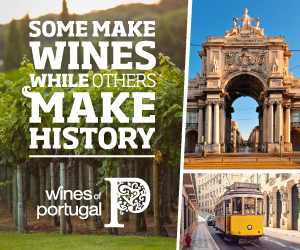 Portugal’s candidate, Ivo Peralta of Epur, Lisbon (placed 48th), may be his rival in the national and European championships, but Guerreiro was gunning for the 27 year old, whose studiousness, passion and modesty was praised by several winemakers whom I visited in Portugal earlier this month. 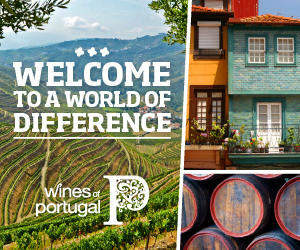 Aside from the final and talking and tasting wine with such an elite corps, my personal highlights included exceptional masterclasses on areas which, being an Australian and Portuguese specialist, I felt particularly privileged to attend. I am a huge Beaucastel fan, but have only tasted flagship Beaucastel Hommage à Jacques Perrin Châteauneuf-du-Pape once – the 2000, which I sold when I worked at Oddbins Fine Wine. So you can imagine my joy at the once in a lifetime opportunity to taste these vintages: 1989 (gorgeous, aromatic, very supple, still with fruit) 1995 (edgier, but lovely complexity and freshness as it opened up), 1999, 2000 (like the ’89, uber-charming, gorgeous fruit), 2005 (still very brooding, impressive), 2007, 2009 and 2015 (marvellous freshness, great potential). And with Matthieu Perrin, 5th generation Famille Perrin member. 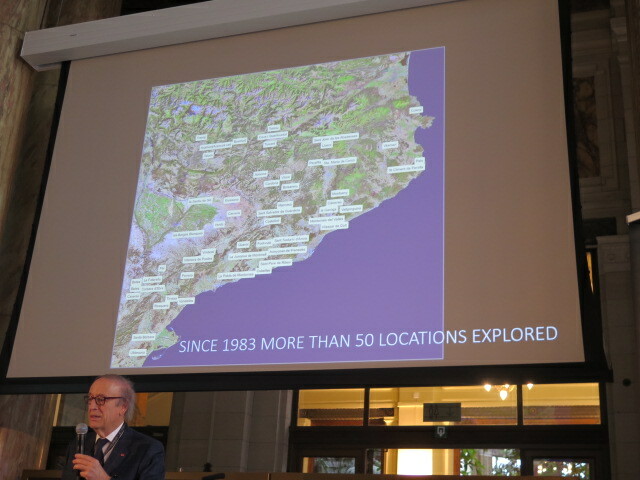 Miguel Torres showcased four Ancient Catalan grape varieties – the one and only wines made from these grapes, which Familia Torres have rescued from extinction in a bid to locate fresher grapes, more resistant to climate-change. Here are my headline notes: Forcada 2017 (texturally slippery but fresh white), Pirene 2016 (light, fresh ‘n floral, super-charming), Gonfaus 2016 (inky, rich, denser, but good acidity) and Moneu 2017 (fresh, very lingering, with lovely mineral complexity). 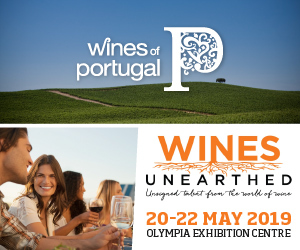 I would love to attend a like tasting, focused on some of the ancient varieties now being unearthed in Portugal. Ditto a Douro Valley focused version of Pascaline Lepeltier‘s highly accomplished blending masterclass on Cote du Rhône blends, which emphasised the region’s very diverse terroir, exploring which grapes (and styles) flourish where. The Master Sommelier – Managing Partner at Racines NY in New York – is a brilliant communicator (and, I gather, one to watch competition-wise – she was Best Sommelier of France 2018). She took the opportunity to highlight Cote du Rhône blends’ excellent value for money in a selection which was 100% naturally-fermented. 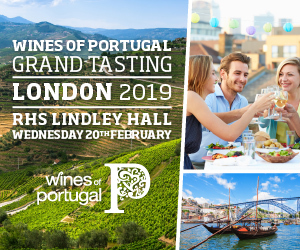 My stand outs included Domaine des Maravilhas Maestral white 2016 (great use of Clairette – 99% of this saline, fresh blend), Domaine Charvin Rose 2017 (textural, dry, the Cinsault for levity) and, from a very strong red line up, the co-fermented, 100% whole bunch fermented Château De Saint Cosme Les Deux Albion 2016. 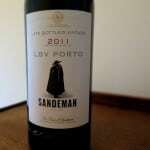 Lepeltier reckons we’ll see more co-fermenting in future. 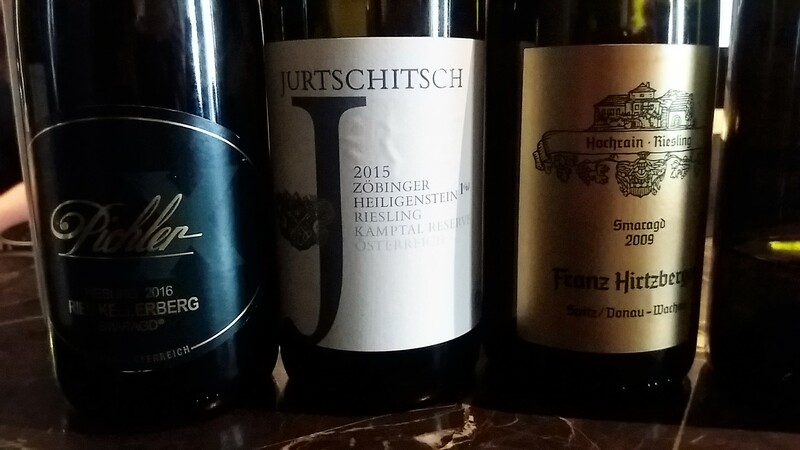 Rieslings on show at the Austrian masterclass – the Jurtschitsch from a very specific, cooler Heiligenstein parcel a knock out! 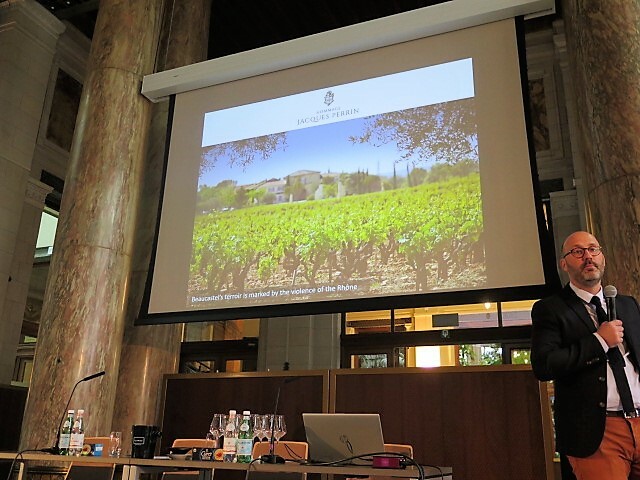 Lepeltier’s masterclass was preceded by an insightful Austrian masterclass with Willi Klinger (Managing Director Austrian Wine Marketing Board) and Stephan Reinhardt (Austrian Reviewer Robert Parker Wine Advocate). They selected some real wow factor wines and talked us engagingly through individual terroir, each producer’s philosophy, inter-generational changes and trends. 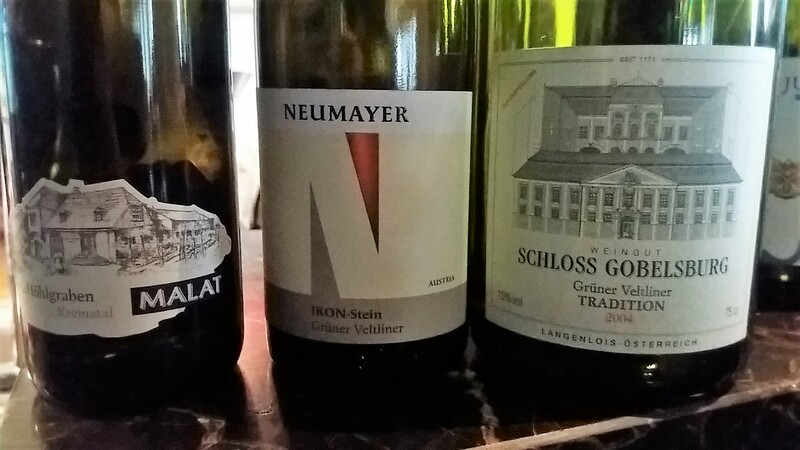 The Gruner Veltliners were very strong, of course (diverse too), but in some ways, it was the other whites that caught my attention. In particular, I can well understand why Reinhardt (who is German and also covers Germany for The Wine Advocate) praised the Heiligenstein vineyard as one of the great terroirs for Rieslings in the world. Jurtschitsch Heiligenstein “1OTW” Riesling Ried Zobinger 2015, Kamptal Reserve was an awesome incarnation of this variety with a postcode. 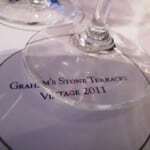 The Styrian Sauvignon Blancs – complex, singular examples of a grape which can lack detail and layer – surprised me. Klinger attributed Reinhardt with putting them in the spotlight. 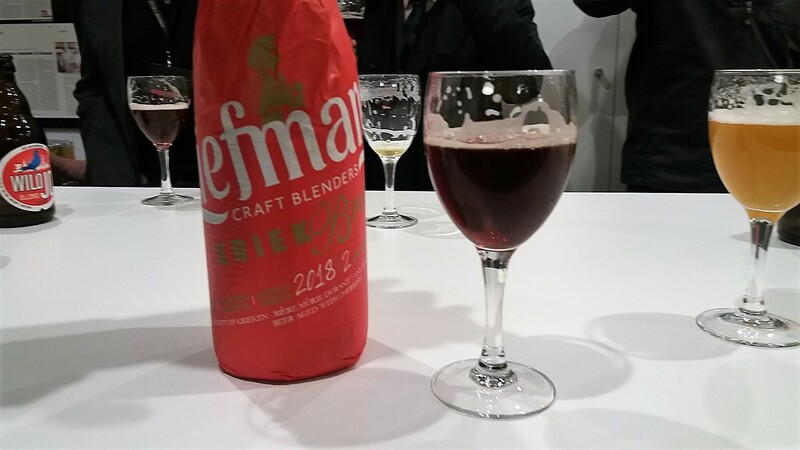 Naturally, a trip to Belgium (and because sommeliers are experts in all beverages) would be incomplete without beer. 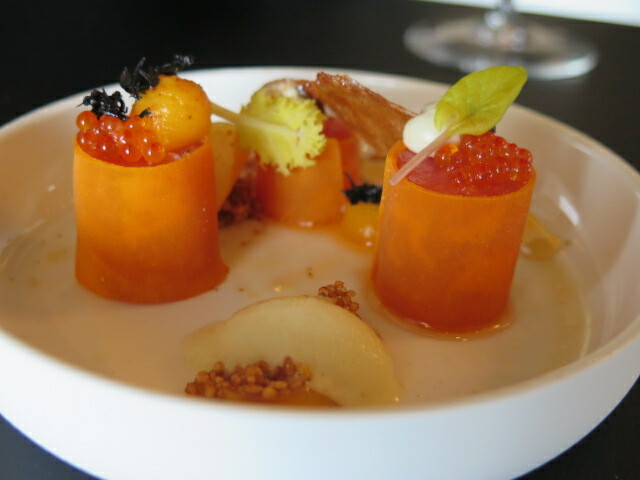 Wouters had organised an evening at De Koninck Brewery which, I discovered, is home to not only excellent beer-craft (and a truly innovative, excellent visitors’ experience), but other fine food craft too. The complex includes a chocolatier (Jistk) and father and son (Van Tricht) cheese affineur (who both do terrific beer pairings), cocktail bar (with plenty of theatre, including blow-torched specialities) and, though not for me, a great butchery and restaurants focused on fine carnivorous dining. 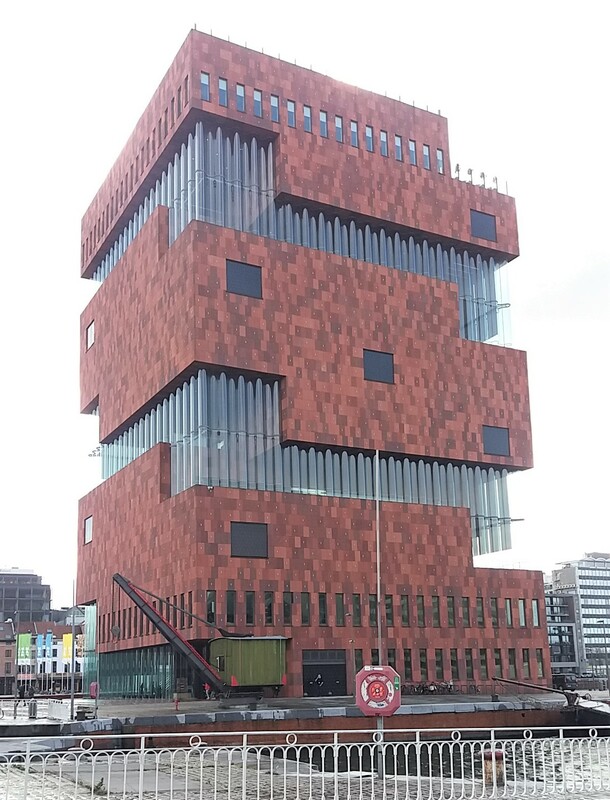 It’s a must visit if in Antwerp, to which list I’d add t Zilte, the two-Michelin-starred restaurant in MAS Museeum aan de Stroom and, for small plates’ dining and natural wines, Schnitzel.